Keep your message in front of customers, employees and prospects who are on-the-go, with our sleek stainless steel travel mugs. White coated stainless steel , 14 oz, 82mm x 209mm”, not dishwasher safe. 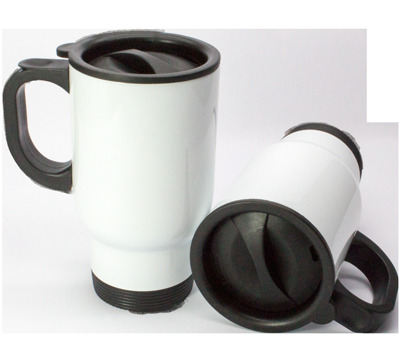 The resilient plastic lid, handle, and base fits most standard car drink holders.